Please contact the office via email (above) or phone (315-781-0188) and your messages will be responded to. The next edition of this eNewsletter comes out on April 9, 2019. 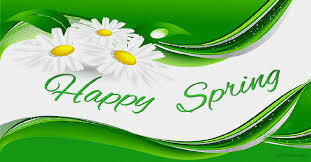 To submit an item for the newsletter, please have it to the district office by April 1. Thank you. 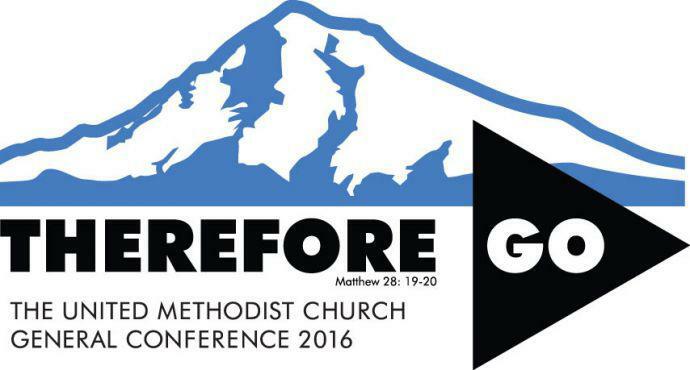 Registration Open for Annual Conference! Registration is now open for the UNY Annual Conference session, held June 5-8 at the Syracuse OnCenter. Bow Tie and Hat Day at AC! We like to have fun at Annual Conference and you can be a part of it by wearing a bow tie or hat (or both!) on Friday, June 7. Go crazy! Be creative! Any type of headwear works - hat, head band, fascinator - you've got time to find the perfect accessory. 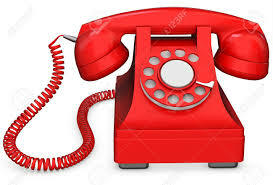 When you get a call from the District Office . . The video of the Upper New York Post Special Session Recap and Reflections gathering that took place on March 17 is now available. This gathering included worship, prayer, Upper New York Area Resident Bishop Mark J. Webb's discussion of the decisions made at the Special Session of General Conference, Bishop Webb's reflection on how we might seek unity in the United Methodist Church, and Bishop Webb's answers to questions asked by members of the UNY Conference. What better way to spend your summer than at camp? Our summer camps offer lots of action and plenty of fun, sun-soaked days. Meet lifelong friends, eat great meals, and have the time of your life in a spectacular setting! What makes our camp weeks so special? We offer a wide variety of programs and activities for children and youth to experience while they are at camp. CLICK HERE for Registration on the conference website. The registration fee per person is $70 plus room rates for the hotel and food costs as each group will need to provide for their own meals. *The district does have some funding for scholarships to help pay for members of your group to attend. Please let me know if your group will be attending and if you would like some scholarship help. This year's UNY Local Pastor's licensing school will be held May 5-11, 2019. This is an earlier date than in year's past. It will be held at Casowasco Camp & Retreat Center. The LPLS experience provides an opportunity to learn with other students about the basics of ministry, to interact with and share ministry practice with the faculty and students, and to be creative in beginning pastoral ministry. Students in the LPLS should have completed the requirements for certified candidate. 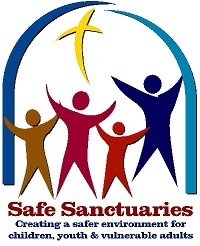 Also, it is recommended that you complete a Safe Sanctuary Training and the Boundary Awareness Training (online) prior to attending the LPLS. Please bring those certificates (or copies) of successful completion with you. Click here to register and to learn more information about this local pastor licensing school. In addition to quickly responding to U.S. and international disasters, UMCOR also addresses diseases of poverty, ministers to refugees and immigrants, provides clean water, and actively works to reduce hunger and poverty. Do you need something to jump start your UMCOR Sunday celebration? Click here for downloadable resources and videos to help educate your congregation on the importance of supporting this church-wide Special Sunday with offering. General Conference organizers have appointed a taskforce to investigate possible improper voting at the recently completed special session of The United Methodist Church's top lawmaking body. The multinational Commission on the General Conference held an emergency meeting by teleconference Mar. 16, after a preliminary review found that "a very limited number" of ineligible people potentially obtained credentials to vote. The commission has not yet reported a precise number. Click here to read more. There is still space for YOU at one of our spring gatherings - explore the opportunities available at our Camp & Retreat Centers. 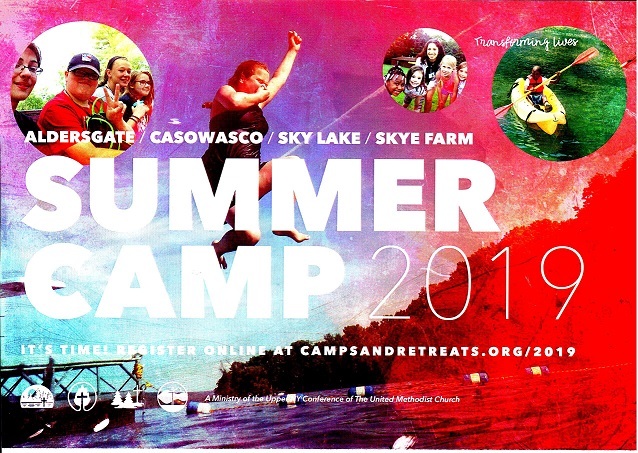 Head to www.campsandretreats.org for more information or to sign up/register, contact the site directly, or contact the CRM Central Office at 315-898-2026 with any questions. WHO ATTENDS: this is mandatory for all full-time clergy who are moving to a new appointment, retirement or extension ministry. Less than full time clergy who are moving to a new appointment or retirement are welcome and encouraged to attend. 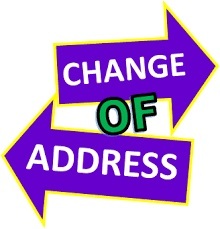 May 16, 2019 4:00 p.m. - 7:00 p.m.
May 20, 2019 10:00 a.m.- 2:00 p.m.
May 21, 2019 9:00 a.m.- 2:00 p.m.
May 21, 2019 10:00 a.m. - 2:00 p.m.
May 22, 2019 9:30 a.m.- 3:00 p.m.
May 23, 2019 9:30 a.m.- 3:00 p.m. Please register for one of these six dates on line. Click here to register. Please feel free to choose the location and day that best fit your schedule. Lunch will be provided. If you have special dietary or other needs, please share this information when you register. Questions may be directed to your current district superintendent. Since the Traditional Plan passed at the Special Session of General Conference last month in St. Louis, many members of the Upper New York Conference have questions related to these results. Upper New York (UNY) Area Resident Bishop Mark J. Webb and other leaders have begun answering questions that members of the UNY Conference have on their minds. There are two changes that will affect Upper New York churches and employees in the new year. Effective Dec. 31, New York State's hourly minimum wage rate is increasing to $11.10. All employers in the Upper New York Conference must pay non-exempt employees minimum wage regardless of how many people they employ. Click here to read more about the wage increase. Beginning Jan. 1, 2019, New York State (NYS) Paid Family Leave is increasing to 55% benefit and 10 weeks for eligible employees. Click here to learn more about the updates and changes. If you have any questions, contact Tracy Rickett, Upper New York Conference's Human Resources Generalist, at (315) 898-2017 or tracyrickett@unyumc.org. We introduced you to VitalSigns, a platform that can help your church to track key indicators and uncover important insights. Click here to watch a video that shows you just how easy this program is to use. The Conference Committee on Sessions is now accepting applications from those who wish to be considered as candidates for the role of delegate to the 2020 General Conference and Jurisdictional Conference. The committee has expressed its hope that the pool of applicants will reflect the diversity of the Conference and The United Methodist Church. Men and women of all ages and ethnic, racial, socio-economic, and cultural backgrounds are encouraged to apply. This award started on October 1st, 2018 and runs till May 25th, 2019. The Golden Bucket will be awarded at the 2019 Annual Conference. 2018. Any questions please contact Mike Block. Click here for an updated UMCOR cleaning kit supply list. The Committee on Petitions and Resolutions is charged with overseeing the submission, review, and presentation of petitions and resolutions to the Annual Conference. 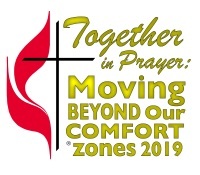 NEW DEADLINE:To allow for more space and time for reflection following the Special Session of General Conference, the deadline for submitting petitions and resolutions for the Upper New York Annual Conference Session has been extended to March 29. Submissions should be emailed to the Petitions and Resolutions Committee at petitions@unyumc.org. Click here for writing and submission guidelines as well as a petition and resolution template and sample document. All reports and materials to be published in the Journal Vol. I are due on February 15, 2019. These items should be submitted to the Connectional Ministries' office at DCMOffice@unyumc.org. Dear Pastors of the Finger Lakes: You have access to an Employee Assistance Program (EAP) if you are appointed by our bishop to serve. During this tumultuous time in the life of our world and church, I ask you to utilize this helpful tool to deal with stress related to being in leadership. This service is completely confidential and is very helpful. In Christ, DS Jeff McDowell. The benefit for all part-time clergy is through a company called "EIS" and provides 2-3 visits per year fully paid with a counselor. Call 800-252-4555 and tell them who you are and what conference you are with. The benefit for all full-time clergy is through a company called Optum Health and provides 8 visits per year fully paid with a counselor. Call 800-788-5614 and tell them who you are and what conference you are with. The March 2019 Issue II copy of the Bridge is now available for download. It is available in both color and black & white formats. Click here to select the version you prefer and make copies as necessary. This issue summarizes the March 17 Post Special Session of General Conference Recap and Reflections Gathering that took place via livestream through the entire Upper New York Conference. May 3 from 9:00 - 2:00. Subject: Sexism in the church? Spot it, stop it. 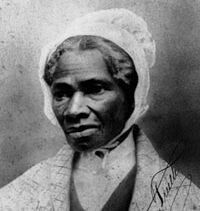 Visit the Women's Rights Museum in Seneca Falls, join in worship at the district office auditorium, and lunch with conversation at the Seneca Falls UMC. It is our hope you will leave the day informed and inspired to help all God's people live, "love one another as I have loved you" Jn.13.34 and begin a path to eradicate the sin of sexism levied at women in the church. Bring your questions and prayers to this sensitive topic in our faith communities and be prepared to pray for the wounded among us who have been the target of sexism's sting. Dr. May is an expert on gender studies in religious life, an ordained American Baptist minister, and well published author. Among her many pubilcations is her book, "Bonds of Unity: Women, Theology and the Worldwide Church"
There will be copies of the English speaking pages at our FLD UMW Spring meetings, March 16 at Rose UMC, April 13 at Penn Yan UMC and Annual Banquet, May 7, Club 86, Geneva. Please take one to share with your UMW local unit. I'm getting closer to being able to provide a selection of Reading Program Books, tax free, for purchase at these meetings. I will keep you informed when that is a firm option. 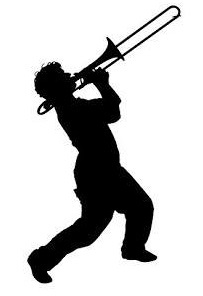 Reminder that your individual Report of Completion Requirements sheet for 2018 Books read, can be mailed to Angie Gage at 3637 St Rt 245, Stanley, NY 14561 or emailed to: angla2010@gmail.com. The reports can also be turned in at the March 16 and April 13 FLD UMW meetings. Deadline for 2018 Reading Reports is April 15, 2019. Upper New York Area Resident Bishop Mark J. Webb has announced eight new appointments pending approval of clergy session. View the full list of changes here. The Commission on Equitable Compensation has issued guidelines and application forms for salary grants to local churches for the period July 1 to Dec. 31, 2019. Salary grants are available only to churches with a pastor under full-time appointment. To apply for salary assistance from the Equitable Compensation Fund, applicants should review the policies and procedures in the application document for guidance, and then complete the application according to the directions provided by the March 29, 2019 deadline. Click here for more details and to apply for or renew a grant. 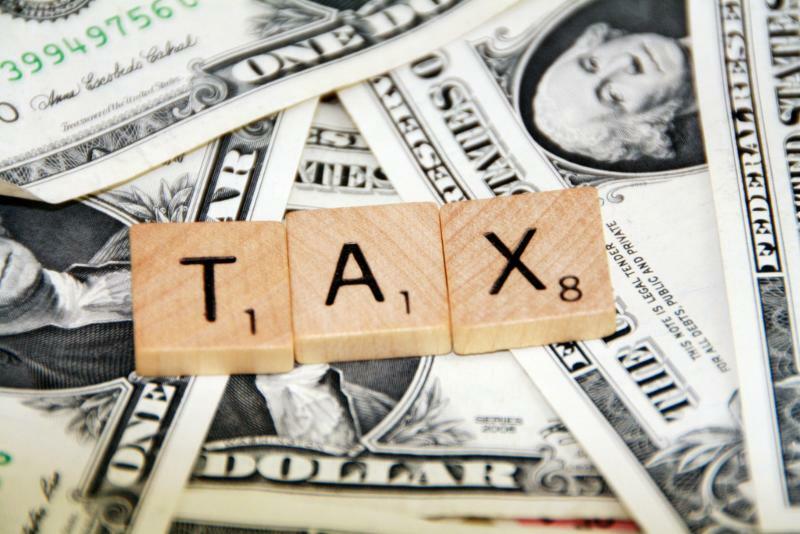 In November of 2013, Judge Barbara Crabb of the District Court for the Western District of Wisconsin ruled that the tax exempt status of a clergy housing allowance was an unconstitutional preference for religion. An appellate decision overturned Judge Crabb's first ruling. The plaintiffs changed their strategy and refiled the challenge. In the autumn of 2018 the same judge found for the plaintiffs a second time, with a narrower ruling this time. This time the ruling only affected pastors who receive a cash housing allowance. Those who live in church-provided parsonages were not affected. This second decision was appealed, leaving uncertainty about the future of the clergy housing allowance exemption. Last Friday the US Court of Appeals for the Seventh Circuit issued its opinion. Its conclusion: the clergy housing allowance is a constitutionally permissible tax benefit. In a 3-0 decision, the panel found that section 107(2) was constitutional under both the traditional three-factor test set forth in Lemon v. Kurtzman, 403 U.S. 602 (1971), as well as the "historical significance" test of Town of Greece v. Galloway, 572 U.S. 565 (2014). It is possible that the plaintiffs (those opposing the constitutionality of the clergy housing allowance) will appeal this most recent decision. It could end up being decided by the Supreme Court of the United States. We will keep you posted. This content is designed to provide a brief introduction to the subject matter covered. It is provided with the understanding that the publisher is not engaged in rendering legal, accounting, or other professional service. If legal advice or other expert assistance is required, the services of a competent professional person should be sought. "From a Declaration of Principles jointly adopted by a Committee of the American Bar Association and a Committee of Publishers and Associations." These special Sundays include: Human Relations Day, UMCOR, Native American Ministries, Peace with Justice, World Communion, and United Methodist Student Day. There are other Special Sundays approved for Annual Conference offerings. These include: Christian Education, Golden Cross, Rural Life, and Disability Awareness. Plan ahead for Native American Ministries Sunday, May 5, even as you prepare for UMCOM Sunday this week. Your toolkit is enclosed. 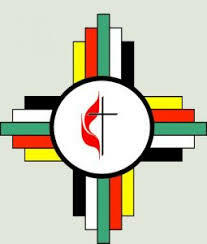 Native American Ministries Sunday celebrates and supports the 157 Native American United Methodist churches that are part of the denomination. On May 5, our special offering helps directly support Native American congregations to authentically minister with their communities and provides scholarships for Native American seminary students. Did you know that more than 20,000 Native American people are part of The United Methodist Church? Through gifts shared on this Special Sunday, United Methodist Native American seminary students and congregations are empowered to develop new ministries that honor creative expression of their culture. They are equipped to form new ministry partnerships and coalitions, encouraging community reconciliation and restoration. We have prepared worship resources and information to share with your congregation about the importance of Native American Ministries Sunday and to ask them to give generously on May 5. For ideas about engaging your church in celebrating Native American Ministries Sunday, print and share this poster. For worship, social media and other resources to prepare for Native American Ministries Sunday, download your toolkit here. If you don't already have offering envelopes for Native American Ministries Sunday, please order them today. Through our connection, we live out our commitment to repentance, healing forgiveness and love. Thank you for reminding your congregation to give generously on May 5. March is Women's History Month, and The United Methodist Church is blessed with many individuals who have been role models in the faith. Click here to see how many names you recognize on this timeline referencing some of the amazing women who helped shape the Church starting in 1770.
will pay the deposit as well. It is a ministry they love to do, send children to camp. Don Andrus, 607-869-5627 for any questions. Register for our 2019 NEJ Mission Academy today! We meet at Rolling Ridge Retreat Center in North Andover, MA from April 1-4. Follow this link to register. CLICK HERE for Academy Agenda. Nominations are open for the 2019 Harry Denman Evangelism Awards. The awards honor United Methodists in each Conference whose exceptional evangelism brings people into a life-transforming relationship with Jesus Christ. Each year, Annual Conferences join the Foundation for Evangelism in recognizing one youth, one clergy member, and one lay person in their Conference. 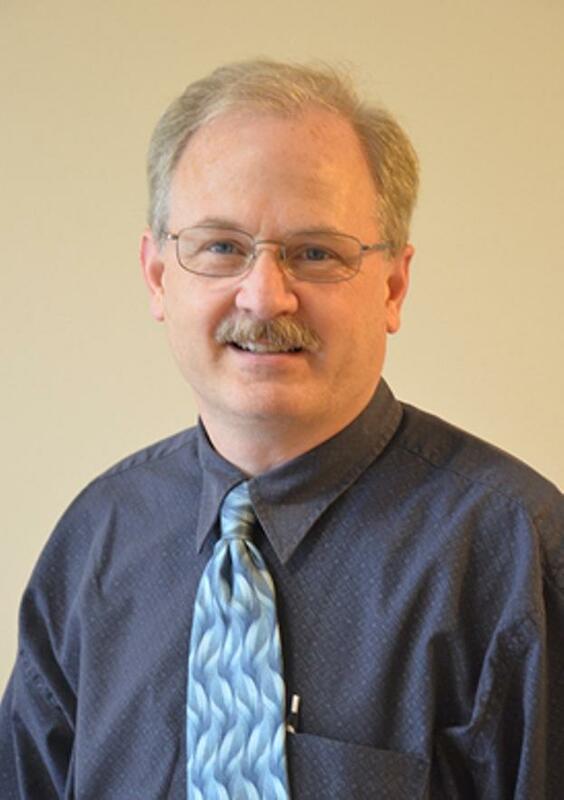 The 2018 recipients in the Upper New York Conference were lay member Kevin T. Dunn (posthumously) and Pastor Mike Kelly. The deadline for submitting your nominations to the Conference is April 19. Please contact Judy Campany at dcmoffice@unyumc.org with your nominations. The Upper New York Conference College Ministry Team invites high school and college undergraduate students to apply for the Lottie Brown Grant. The application deadline is April 10. Click herefor more information and to apply. 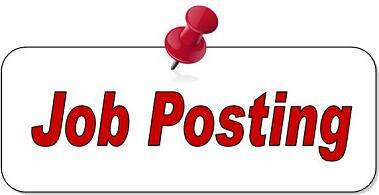 March 31, 2019 1:15 p.m.
Click here for the job posting for a Maintenance Supervisor at the Casowasco Camp & Retreat Center. Interested candidates should apply online through the link on our website. Search for "Job Opportunities" on the UNY website. Wesley Theological Seminary is proud to announce the opening of the Upper New York Satellite School for the Course of Study Program in the 2019 fall term. This school will be held in the state of the art classrooms at the Upper New York conference center in Liverpool, NY. We will begin by offering three sessions: fall, winter and spring with three course for each session. This is in response to the data we received from the former Buffalo school and follows the pattern of courses taken by students. Wesley will watch the enrollment and depending on demand we will add courses as needed. The COS registrar will forward the completed form on to Wesley Seminary. The deadline for registration for the first term is September 30, 2019. Please check the website for registration deadlines. Forms received after the deadline will be returned to the student. Please allow yourself time to get the required signatures needed. Course information available at www.wesleyseminary.edu on the Course of Study page and/or on Blackboard. All Course of study student have two student ID's. One for Wesley Theological Seminary (student ID) and one for the GBHEM (PID). Students must provide the PID from the GBHEM on their registration forms. This is a new policy from the GBHEM. You may obtain your PID by contacting Pamela Frost at COSRegistrar@GBHEM.org . If you do not know your Wesley ID, we can look that up in our system. Costs: Registration fee and tuition will be billed directly to the student through the WTS business office. Students need to keep up with your balance. We cannot register you if you have a balance of more than one course on your account. Students are responsible for contacting their conference to obtain any conference monies to assist with the cost of the program. We are still working on details for this new program - please stay tuned for more information in the weeks ahead. Any questions, please feel free to contact the COS registrar, Betsy O'Flynn at candidacy@unyumc.org or 585-340-9558.